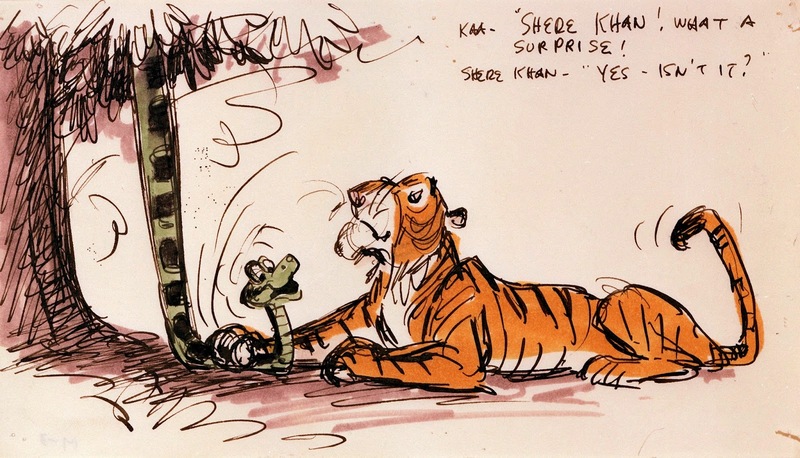 Deja View: Who All Created Shere Khan? 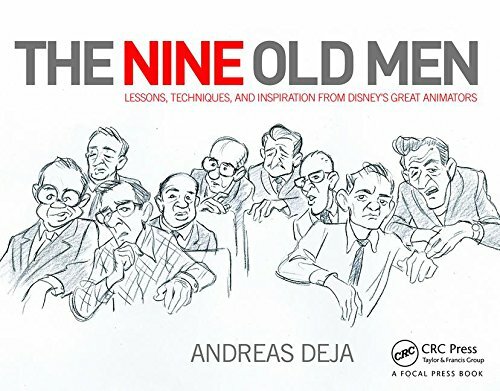 Thanks for posting this, Andreas. 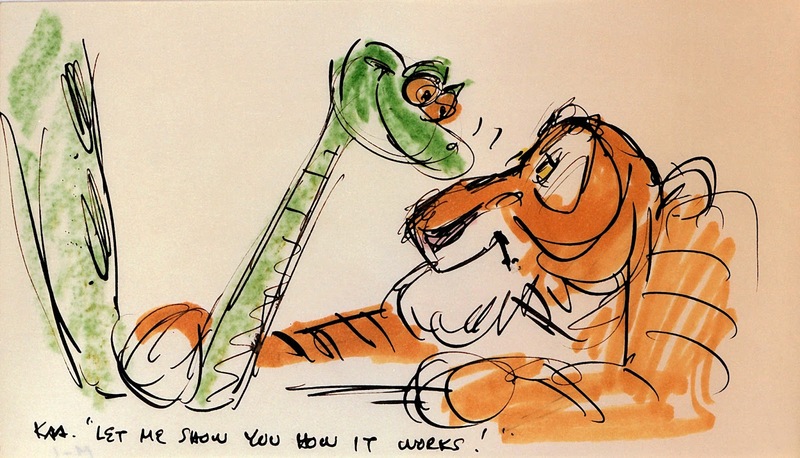 I watched Jungle Book over and over again when I was a kid. 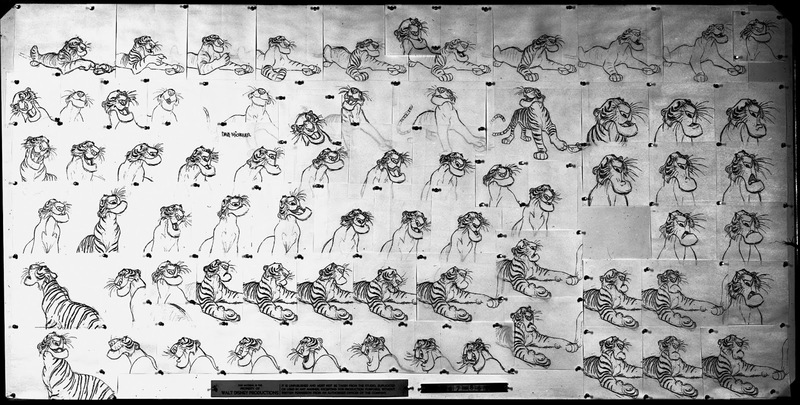 Even with all the beautiful animation that are out there right now, the animation in Jungle book still blew me away. 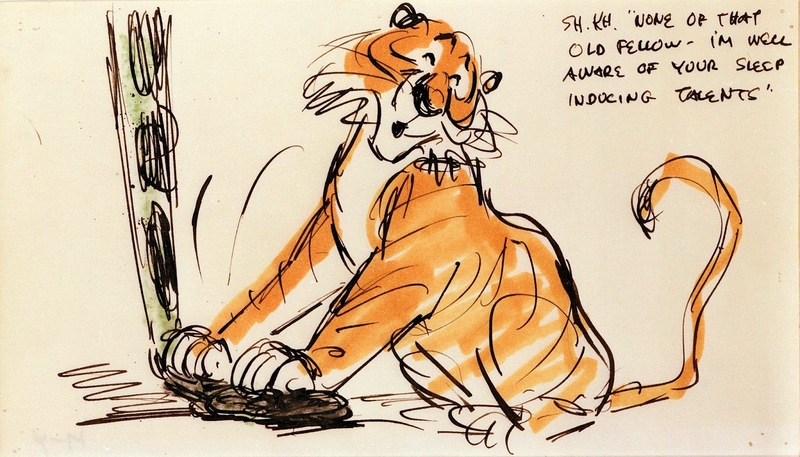 Bill Peet's design reminds me of Tony the Tiger who hasn't had his Frosted Flakes and cup of coffee before filming the commercials. 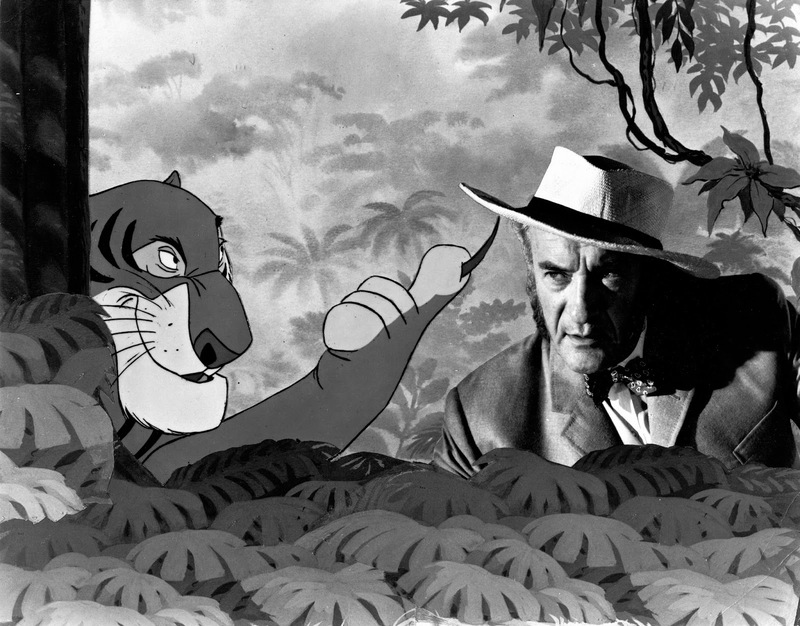 You know I recall Shere Khan as a business man in the old Toon Disney show Tale Spin growing up in the 90s. 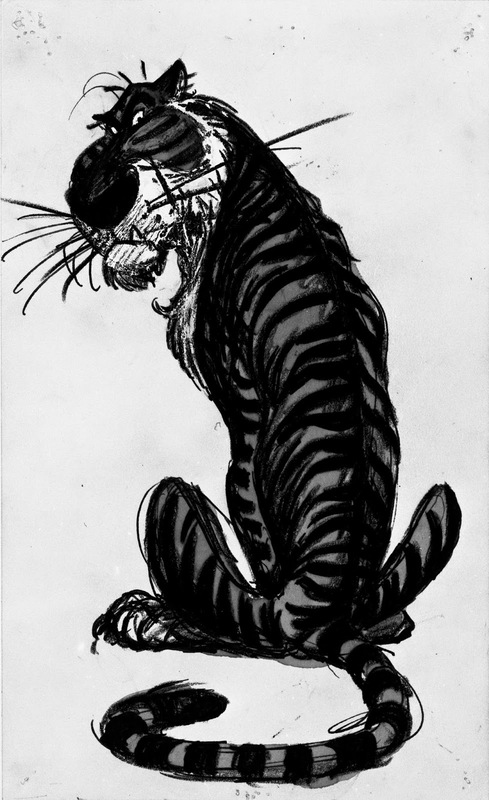 The way they designed him looked like Milt's final sketch of the tiger but dressed like George Sanders. 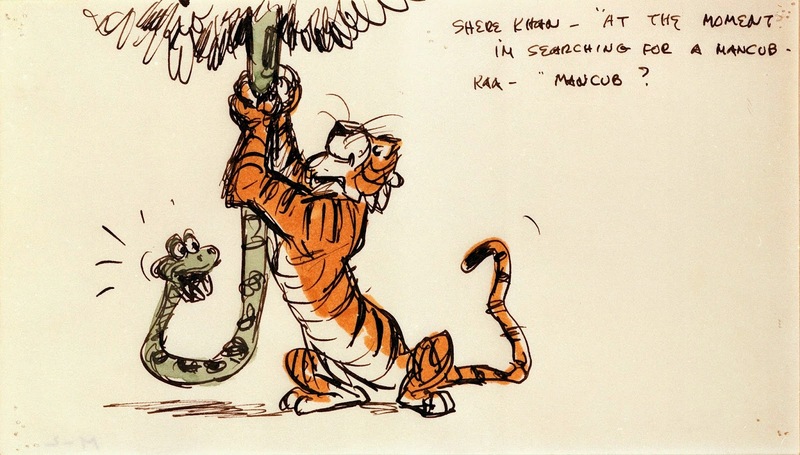 So with your new animated production you are doing Andreas, are you using Milt's Shere Khan design as inspiration to your tiger design?